Home of the NFL football Atlanta Falcons and the MLS soccer team, Atlanta United, the Mercedes-Benz stadium is seen, Wednesday, Oct. 4, 2017, in Atlanta. GPB Education's latest video explains the science behind the demolition. 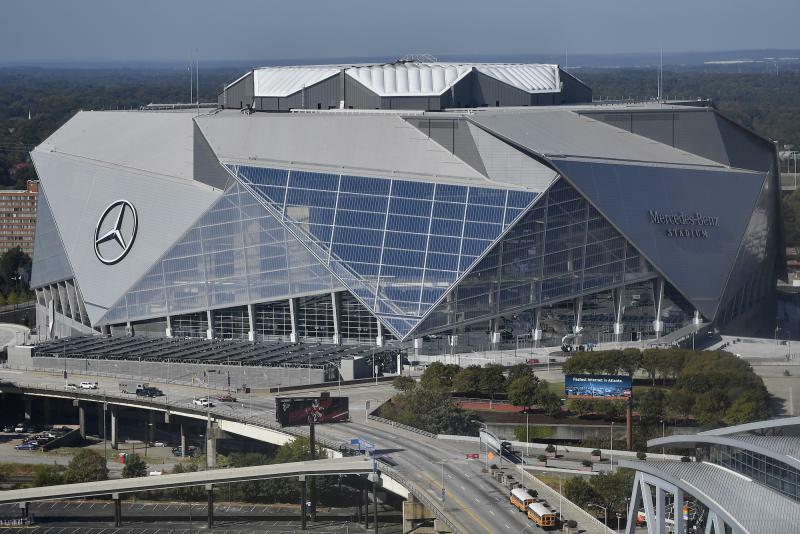 Atlanta's new $1.6 billion stadium — home to the NFL's Falcons and the city's hugely popular pro soccer team — has successfully risen, despite a series of construction delays over its complex retractable roof. Now, the dome next door that Mercedes-Benz Stadium was built to replace will soon be brought down with explosives. The Georgia Dome, with its history of hosting major sporting events and concerts since its 1992 debut, is set to be imploded Monday morning. Several streets and parts of Atlanta's transit system will close, police said, as many of the city's residents watch the blast against the early-morning sky. The city's tallest hotel, the 73-story Westin Peachtree Plaza with a view of the dome, even plans a "Georgia Dome implosion party" in its restaurant and bar near the very top. The idea for the Georgia Dome dates to the mid-1980s, when civic leaders recommended a domed football stadium adjoining the city's largest convention center, the Georgia World Congress Center. 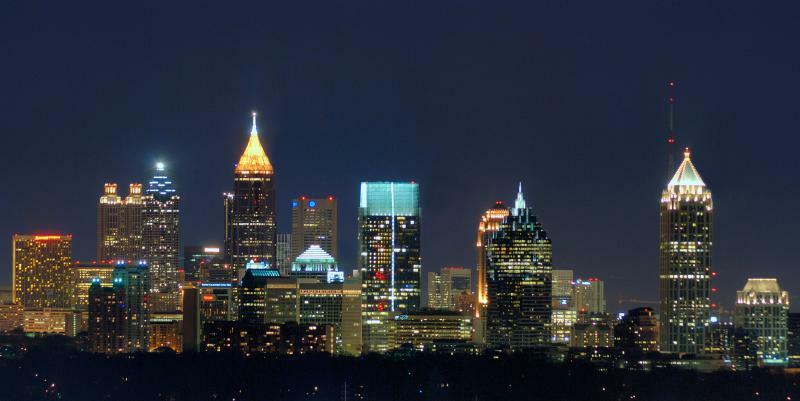 Rankin M. Smith Sr., who owned the Falcons at the time, discussed having the team play in the dome but also various other options such as building an open-air stadium in Atlanta's northeastern suburbs 30 miles from downtown and even moving the franchise to Jacksonville, Florida. In the fall of 1987, a brochure envisioned the future "Georgia Dome" as the new home of the Falcons and a possible site for the Super Bowl, NCAA basketball tournament, Peach Bowl, high school football playoffs and even tractor pulls. The dome hosted those, and many more. It was the site of high school football state championships, Peach Bowls, SEC championship games, two Super Bowls, 1996 Olympic basketball, three Final Four NCAA basketball tournaments, concerts, pro wrestling and other events. Now, Mercedes-Benz Stadium will host this season's College Football Playoff championship game, the Super Bowl in 2019 and the Final Four in 2020. 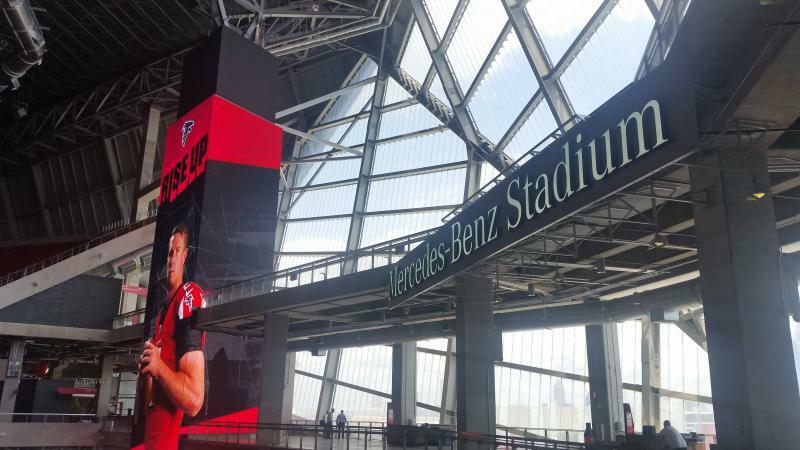 It can hold about 71,000 fans for Falcons games, and it already set records for selling more than 70,000 tickets for a couple of Atlanta United home soccer games. The stadium was originally set to open in March, but that was pushed back multiple times as engineers struggled to finish the roof. The stadium finally opened Aug. 26 with a Falcons' pre-season game against the Arizona Cardinals.